Get ready for the 2018 Fellsmere Frog Leg Festival. FELLSMERE – The 2018 Fellsmere Frog Leg Festival is right around the corner. For the past 26 years, locals have been coming out to this festival; that has something for everyone to enjoy. This year the Fellsmere Frog Leg Festival will begin January 18, 2018, 4:00 p.m. and conclude on January 21, 2018, at 6:00 p.m. The festival schedule will be Thursday & Friday 4:00 p.m. – 11:00 p.m., Saturday 10:00 a.m. – 11:00 p.m. and Sunday 11:00 a.m. – 6:00 p.m. 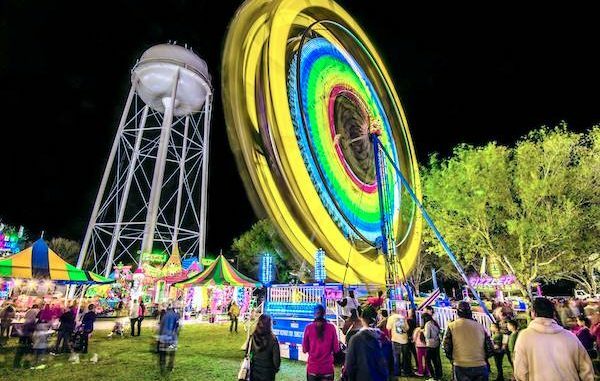 The food schedule is Thursday & Friday 4:00 p.m. – 9:00 p.m., Saturday 11:00 a.m. – 9:00 p.m. and Sunday 11:00 a.m. – 6:00 p.m.
Activites will include rides, booths for unique gifts, and great music. The festival will be at 22 S Orange St, in Fellsmere. There will be off-site parking and shuttle service from Mesa Park located at 100 Mesa Park Blvd. It is a free shuttle bus that will take you from Mesa Park to the festival and back.